The heart and soul of the disclosure portion of the Franchise Disclosure Document (FDD) -- and indeed its very purpose -- is set forth in the Items. Each Item is given a specific title (which cannot be altered), and within each Item, the franchisor is required to provide the answers to a myriad of FTC-mandated questions. For a complete list of the questions in each Item, take a look at the NASAA Guidelines on our companion website. Following is the list of Items (by correct title) along with a brief description of the content to be found there. This Item gives you the past five years’ worth of the personal business experience of the franchisor’s directors, trustees, general partners, officers and any other individuals who’ll have management responsibility relating to the offered franchises. In this Item, the franchisor must disclose any material litigation involving the franchisor and predecessor, parent and affiliate, if the litigation involves claims about the franchisor’s sales process, their performance under the franchise documents and claims of antitrust, fraud, unfair or deceptive trade practices, or comparable allegations. The franchisor must also disclose any franchisor-initiated litigation against its franchisees and any other business litigation (even if it’s not franchise-related) if, at the end of the day, the litigation negatively impacts the franchisor’s financial condition or their ability to operate a franchise. This Item must disclose any bankruptcy in the past ten years that involved the franchisor and any parent, predecessor, affiliate, officer or general partner of the franchisor, or any other individual who will have management responsibility relating to the sale or operation of the franchise. Here, the franchisor (and any of their affiliates) must disclose all of the initial fees they charge to the franchisee before opening. Such fees include the initial fee paid to purchase the franchise rights (often called the “initial franchise fee” or IFF), computer or point-of-sale equipment that must be purchased only from franchisor or their affiliates, and similar fees. This section of the FDD advises you of any other fees you’ll have to pay to the franchisor or an affiliate as well as costs that are collected by the franchisor for third parties, or that are otherwise imposed. Line items include a statement of the royalties, advertising fees, service fees, training fees, renewal fees and other similar one-time or ongoing charges. In this section, the franchisor must disclose a range of the minimum and maximum of all fees, costs and expenses that the franchisee will incur prior to opening the business, including the initial franchise fee, real property expenses such as rent and construction costs, the cost for computer equipment and similar line items. The expenses must include both pre-opening expenses and those incurred during the “initial phase,” which is at least three months or a reasonable period for the industry. Franchisors require franchisees to buy the goods and service needed only from approved vendors. This section lists the approved vendors and also calls out the franchisor’s specifications for permitting a new vendor into the system. It will identify any revenue the franchisor receives from the required purchases, including rebates received by the franchisor from any supplier. This Item lists your obligations as a franchisee, with references to the sections of your franchise agreement that contain the obligations. The purpose of this is to identify your principal obligations under the franchise agreement and other agreements. If the franchisor sponsors financing for new franchisees, it will be spelled out in this section. The services they’ll provide to the franchisee before and after opening. All advertising expenditures you’re expected to assume. The average time it takes a franchisee to open. The type of computer and similar electronics necessary to operate the business. A detailed description of the training you can expect to receive. The table of contents of the operations manuals. 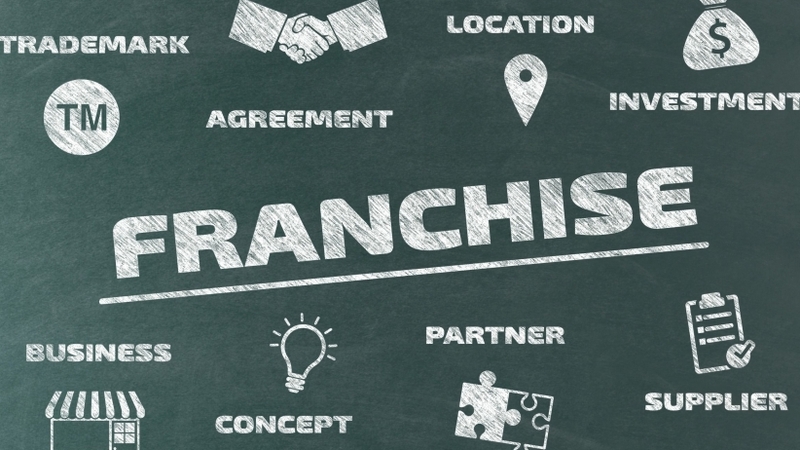 The franchisor must disclose whether it offers franchisees an “exclusive territory” within which to operate the business. With an exclusive territory, the franchisor promises that it won’t permit another franchisee to locate within the territory and that it will also refrain from putting a company-owned or affiliate-owned business there. This Item must also disclose whether you can relocate, and if so, what the criteria are for your move and whether you have any rights to purchase additional units. One of the more important disclosures in this section is whether you’re required to meet a quota or perform in some other manner as a way of insuring either your right to an exclusive territory, or your right to continue in business at all. This Item will also disclose the franchisor’s reservation to itself of certain marketing and sales rights either within or outside any territory. This section must identify each principal “Mark” (trade name, trademark, service mark, service name or logotype) to be licensed to you, and must state whether the franchisee is required to modify or discontinue use of a mark under any circumstances. The section spells out the patents and copyrights held by the franchisor. This section discloses whether the franchisee must personally participate in the operation of the franchise. If there’s no such requirement, this section must state whether the franchisor recommends such participation, whether the person who’s handling day-to-day operations must complete the franchisor’s training program, and whether this person must own an equity interest in the franchisee entity. In most cases, the franchisor will require the franchisee to sell only the goods and services that are part of the franchised business. This section spells out those restrictions. Item 17 contains a cross-referencing table to the franchise agreement for 23 separate line items. It’s different than Item 9 in that it includes a concise statement of the content of the particular franchise-agreement covenant as well as the location of the covenant in the agreement. This section requires the franchisor to disclose whether it uses a famous person to endorse the franchise. If so, it must disclose the compensation paid or promised to the person, the person’s involvement in management or control of the franchisor and the amount of the person’s investment in the franchisor. In layperson’s terms, a Financial Performance Representation (FPR) is any document, chart, arithmetic calculation, math formula or other representation that would allow a potential franchisee to determine what they could earn. The only way the franchisor or its sales staff or brokers can offer an FPR is if it’s stated in this Item 19. If no such information is found in Item 19, any claims made by the franchisor as to your potential earnings are in violation of the law. This section provides information regarding existing outlets in the franchise system. It covers outlet transfers -- and the status of franchised and company-owned outlets -- for the past three fiscal years, as well as projected openings for the next fiscal year. It must also provide information regarding any reporting changes, any confidentiality clauses signed by franchisees during the past three fiscal years (“gag clauses”), and information about certain trademark franchisee associations. The FDD must contain an exhibit with the franchisor’s audited financial statements for the prior three fiscal years. If the franchisee has been open less than three years, the FTC allows the franchisor to phase in audits. The franchisor is also required to provide a separate, audited financial statement for a company controlling 80 percent or more of the franchisor. This section requires the franchisor to attach to the FDD a copy of all form contracts the franchisee will sign, including the franchise agreement, leases, options and purchase agreements. In this final section, the franchisor is required to include as the last page of the FDD a form for the prospective franchisee to sign to acknowledge receipt of the FDD.